Apple has lost the “iPhone” trademark in Brazil, thanks to a local company named Gradiente Eletronica, who registered the name back in 2000 i.e seven years before Apple, reports BBC. 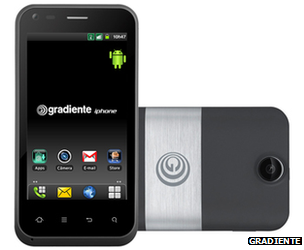 A couple of months back, Gradiente also launched an Android-powered phone named “iPhone” in the country. While an Apple spokesperson declined to comment on the ruling, the Institute of Industrial Property has reported that Apple is pursuing an appeal against the Brazilian court’s decision. Though Apple can still continue to sell its iPhone in Brazil, Gradiente however has an option of suing for exclusivity, notes the source. The INPI added that its decision only applied to handsets, and that the California-based company continued to have exclusive rights to use the iPhone name elsewhere including on clothing, in software and across publications. The Brazilian company is selling its Android-powered iPhone for approximately $300.